Learn about FINCA’s work by reading some of our publications. These include annual reports, newsletters, case studies and white papers, and fact sheets. These publications offer a closer look at FINCA’s microfinance, social enterprise and research activities. Annual Reports are the permanent record of our achievements for a given fiscal year, and may offer a look ahead to future plans. These reports provide a comprehensive overview of successes, milestones and financial performance, as well as showcase the financial and social impact our poverty alleviation work makes across our global footprint. Newsletters bring FINCA clients’ stories to life while sharing the latest news and updates on our work. They offer a look at exciting innovations in financial technology (“fintech”), milestones and achievements in social enterprise programs, and partnerships and donor support that help us expand our reach. 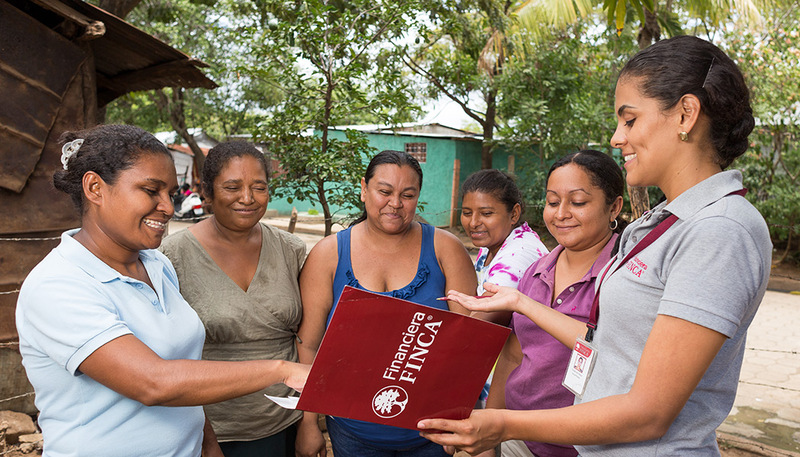 Case Studies and White Papers feature FINCA’s work in microfinance, social enterprise and customer research. These reports offer unique insight that can help advance the international development and enterprise-driven sectors on the path to financial inclusion, economic growth and poverty alleviation for all. Fact Sheets provide quick and visual snapshots of our organization, work and thematic areas of focus. Read about the latest fintech developments across our global microfinance footprint, why financial inclusion matters, and familiarize yourself with our newer programs, like BrightLife, FINCA Ventures and FINCA Forward.